In this post we look at some current techniques in use for recovering the data from faulty mobile phones. We discuss the common problem of bootlooping on the iPhone 7 and 7+, repairing the phone’s C12 pad, methods of fault detection on broken phones and recovering data from Android phones. iPhone 7 and 7 Plus bootlooping and lagging is a widespread problem. This usually relates to the Audio IC chip. Although this seems unlikely, the areas in red below get a lot of flexion related strain (from people putting these devices in their back pockets etc.). Because these boards are screwed into the bendable soft metal chassis, any bend causes strain across these “Fault lines”. We remove the chip which is normally still ok, re-enforce the joints which are loose, most commonly the C12 pad below. Doing this can overcome a lot of bootlooping phones and would be classed as a physical failure. Water damage is also a main issue with all phones, this won’t ever not be the case. 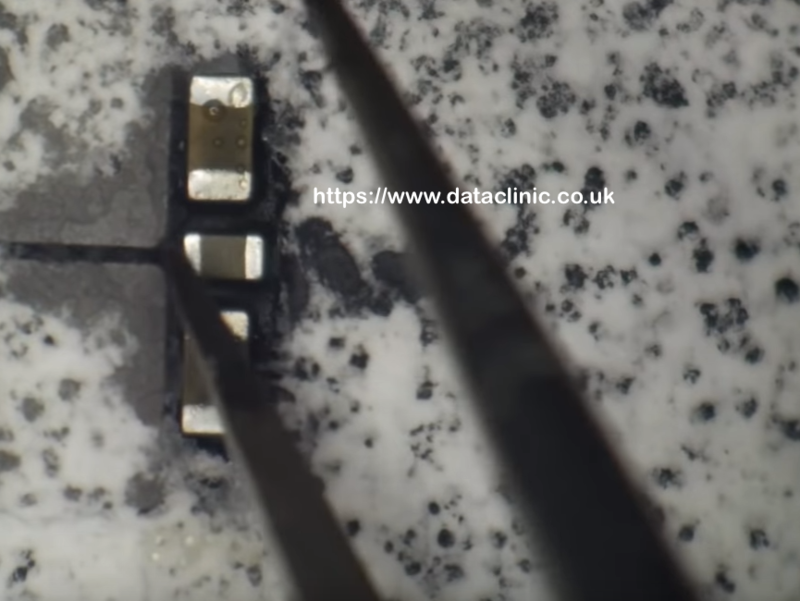 Ultrasonic cleaning is essential and de-shielding logic boards is preferable in order to achieve the best results from the clean. 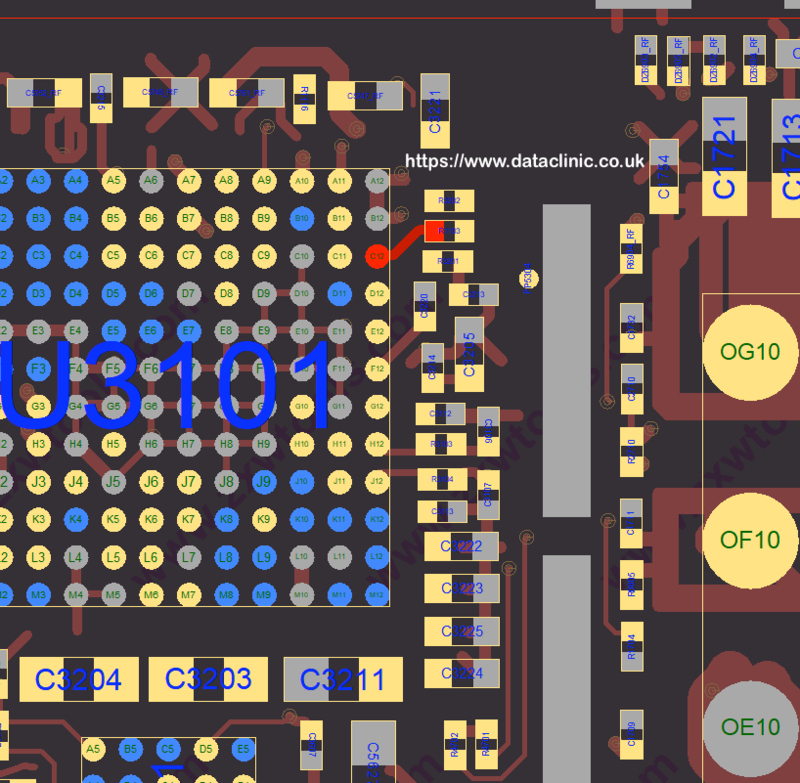 Learn how to detect shorts – a good method is to use non-conductive freeze spray on the board then apply power with a DC Power Supply in order for the shorted component(s) to reveal itself (see below). 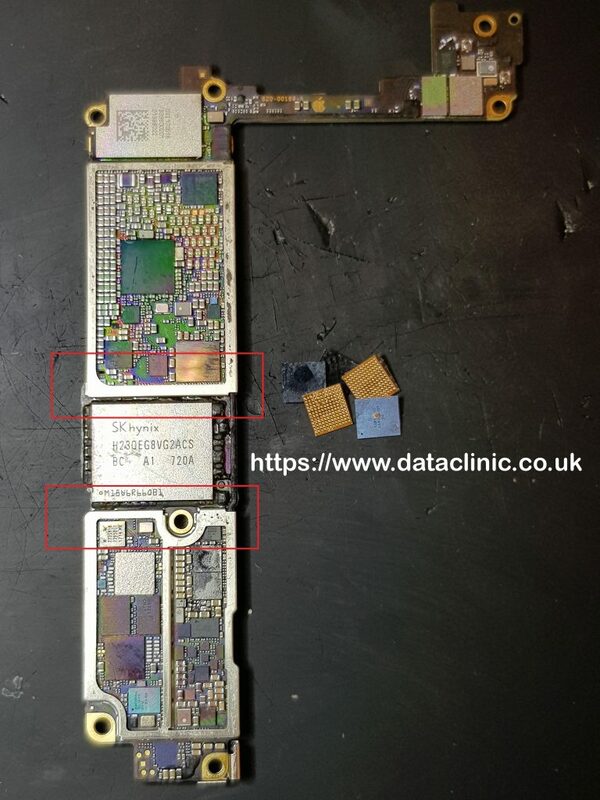 The chip-off technique of recovering phone data is still an option for a lot of phones but is slowly becoming more and more redundant due to hardware encryption becoming increasingly common. UFS memory chips have been in place on Samsung’s since the Galaxy S6, they are very fast and don’t consume a vast amount of power. We are focusing more and more on hardware based temporary repairs in order to access the data. Whether this is replacing failed IC or other components, we carry out a lot more work and rework to devices than ever before. If you’re reading this and want us to recover the data from your broken phone call us on the above number.